Wizards blow lead, fall to Pacers 100-99. Paul George loves playing at Verizon Center. With just three seconds remaining and the Pacers down one, Paul George calmly walked to the free throw line knocking down both attempts to give the Pacers a 100-99 lead as they’d win this game. George scored a game-high 38 points as the Wizards would have jumped into the 8-seed with a win but failed to do so. Otto Porter was hot to begin this game knocking down his first three shots and the first six points for the Wizards. But as we’ve come accustomed, Porter would not score the rest of the game. Anderson came in off the bench and got involved right away stretching the Wizards lead to 10, 41-31 early into the second quarter. 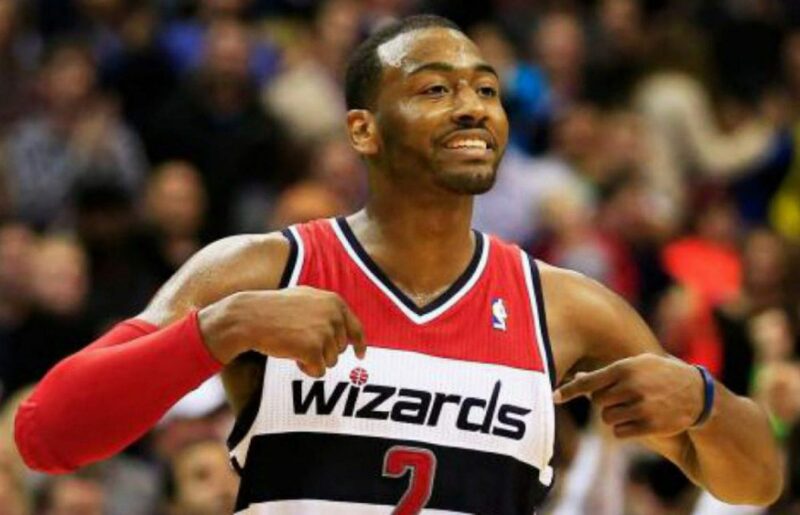 Some nice passing including a tic-tac-toe from Wall to Anderson to Nene had the Wizards up 64-56 at halftime. Scary moment for the Wizards as Bradley Beal went up for a layup and fell awkwardly on his hip. Beal would not return to the game but is expected to join the team on their west coast road trip coming up. Lavoy Allen tied the game at 80 early in the fourth quarter on two free throws. Paul George would take over for the Pacers scoring 12 of his 38 points in the fourth quarter. Free throw shooting has been an issue for this Wizards team and tonight they lost a game because of it. Wall and Nene missed two key free throws down the stretch in the fourth quarter. The Pacers made theirs. Wizards lose 100-99 in heartbreaking fashion. Free Throw Shooting: It finally caught up to them. The Wizards shot 15/24 from the free throw line tonight whereas the Pacers were 19/20 from the charity stripe. Nene was 2/6 from the line whereas Wall was 4/6. That was the difference. I’ve said it once and I’ll say it again; if the Wizards don’t clean this up and fast, they’ll lose many more close games due to free throw shooting. Turnovers: Feels like the beginning of the season talking about turnovers and free throw shooting every game. Once again, the Wizards committed 17 turnovers tonight resulting in 21 points for the Pacers. Wall and Beal combined for 11 of the 17 turnovers. I understand that Wall has the ball in his hands more than any other player in the league but he cannot be turning the ball over seven times a game. Marcin Gortat: Marcin Gortat had another monster game with eight points and 17 rebounds. Gortat accounted for 37 percent of the Wizards rebounds tonight and half of their offensive rebounds. Unfortunately, the Wizards only had 10 points off of those second chance opportunities. In mind scratching fashion, Wittman opted to go with Nene over Gortat for the last minute of the game. Would have rather had Gortat at the line.